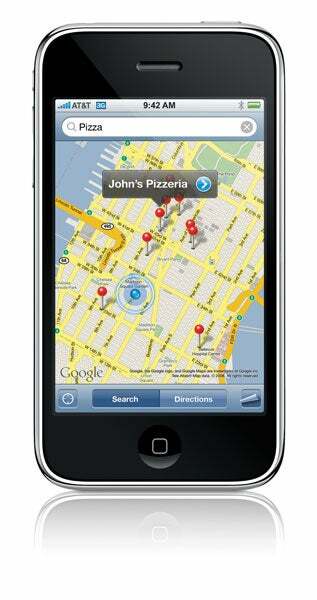 Apple CEO Steve Jobs today introduced the second-generation iPhone with new pricing and with 3G and GPS capabilities. 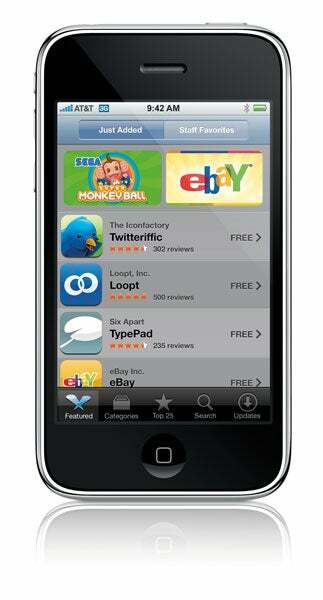 An 8GB iPhone 3G will sell for $199--one-third of what the 8GB iPhone sold for at launch. A 16GB model will sell for $299, and will come in white and black versions. Sales of the new handsets will begin on July 11. Jobs made the announcements in his keynote speech kicking off this year's Apple Worldwide Developers Conference in San Francisco. Apple also announced a slew of interesting applications for the iPhone, including games, news, blog tools, and Major League Baseball. Conspicuously missing from today's announcement was any mention of how much the corresponding 3G wireless services will cost. After the event, AT&T said it will not be treating the iPhone 3G any differently than any other phone; you'll pay whatever your rate plan is, plus $30 for unlimited data use (or $45 for business users). A two-year contract will be required, as will in-store activation. AT&T Wireless remains the iPhone's exclusive provider in the United States. The iPhone 3G will be introduced in 22 countries at launch. 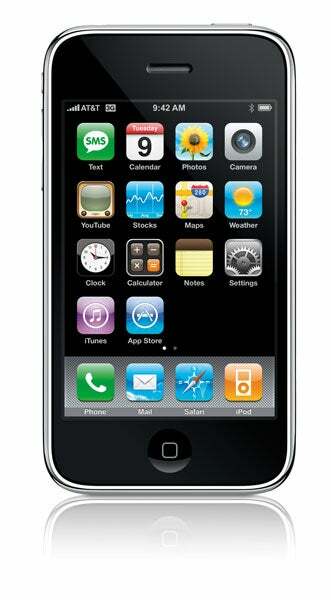 The iPhone 3G, as its name implies, will feature support for 3G cellular networks. The original iPhone's lack of 3G support was widely criticized when that model first launched last summer. Apple did say that physical changes to the new iPhone include a curvier design, full plastic back, solid metal buttons, and a flush headphone jack. In his announcement of the new device, Jobs provided precious few details about the phone. And much of what he did announce was already anticipated. The biggest revelation about the new phone is its inclusion of GPS location tracking, a feature that many iPhone users insisted on for the next-gen device. Jobs was relatively quiet on the phone's physical dimensions. He made a point of calling out the iPhone 3G's thinner edges and plastic back, but he did not mention anything about its thickness (rumors pin the 3G model as being thicker than its predecessor, in order to accommodate the 3G radio and other components). The headphone jack is now flush with the upper edge of the phone--a huge improvement over the design of the previous version, which required a kludgy plug to connect a headphone. Another enhancement over the first-generation iPhone is a boost to the device's battery life. In spite of its faster broadband data speeds, the device will offer up to 300 hours of standby time, up to 10 hours of 2G talk time (compared with 8 hours on the previous model), and up to 5 hours of 3G talk time. "That's actually a very large amount of 3G talk time. We're very proud of this," said Jobs. The phone will run for 5 to 6 hours of high-speed Web browsing and 7 hours of video viewing. Music playback is good for up to 24 hours of battery life (which puts the new iPhone right alongside stand-alone iPod audio players). Many of the iPhone 3G's improvements will be found in its software tweaks, dubbed iPhone 2.0. For example, the phone will now support a slew of core features for enterprise security (including VPN and WPA wireless encryption). In addition, you can search through contacts, display iWork documents and Microsoft Office files, and save images received in e-mail to your photo library. It also offers batch delete and move support while in the e-mail app, and multilingual support. According to Jobs, in its first year the iPhone has sold 6 million units. A whopping 98 percent of iPhone users browse the Web, 94 percent use e-mail, 90 percent do text messaging, and 80 percent use ten or more features. "You can't even begin to figure out how to use ten features" on other phones, Jobs said. With its inclusion of a 3G radio and GPS, enterprise security, and broader international support, the iPhone 3G looks well positioned to build on Apple's market share, which climbed to 27 percent by the end of 2007 according to research firm IDC. Even with many details, such as the service costs, still unknown, Apple is clearly prepared to take on Research in Motion, maker of the popular BlackBerry smart phones. RIM currently has a 35 percent share of the smart-phone market.